Successfully Added Apple Watch iPhone Charging Stand - Qi Charging, USBT Type C, USB 2.0, iPhone Charging Dock, Watch Stand, 10W Lamp to your Shopping Cart. 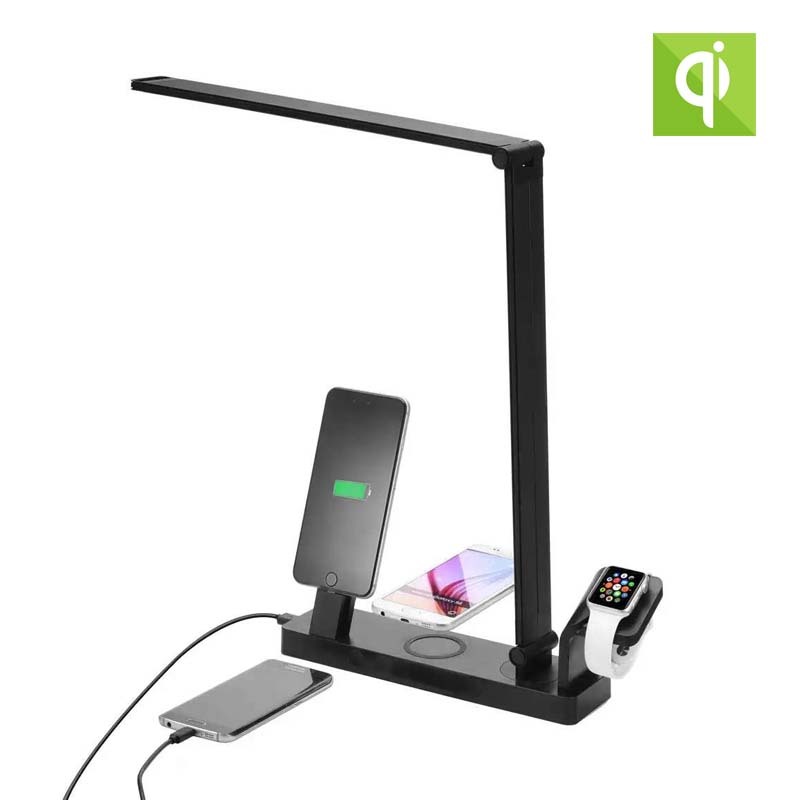 This ingenious Apple watch & iPhone Charger with built in lamp is your one stop charging station for all things Apple flavored, and even comes with a Qi Wireless charging pad for your flagship phone, such as a Samsung Galaxy edge or HTC. A masterfully designed charging dock is a super accompaniment for your Apple watch, iPhone and other devices. With a dedicated Apple watch stand it will charge and look after your Apple time piece when it is not in use. There is also a special iPhone charging dock suitable for the iPhone 5 and 6 series devices. Additionally this device boasts a Wireless Qi charging station and you also have a Type C USB port and a 2.1 Amp USB charging port all built in. These allow you to charge phones such as the Samsung Galaxy Edge, Google Nexus or many other flagship devices hassle free. With a Type C USB port you have a future proof device that will remain applicable to new technology for years to come as the new USB standard gets implemented across a growing range or products. You also have the reliability of USB 2.0 that will serve your older devices until you’re ready to upgrade. A 10Watt lamp sits over the top of these devices and its flexible arm makes for easy illumination of your desk or night stand. The lamp is fully adjustable via the touch control buttons so you can easily dim or brighten the light for your needs. This Apple Watch and iPhone charging stand comes with a 12 months warranty, brought to you by the leader in electronic devices as well as wholesale accessories and chargers..